The idea that the Super Bowl must never be affected by politics flies in the face of the game’s own history. Roger Goodell and the National Football League recently had the chance to do the right thing—or at least take a breath and listen to people counseling them to do the right thing—yet, at the speed of a young Deion Sanders, they were proactively pathetic. The question before Commissioner Goodell: Should the league consider moving the February 2017 Super Bowl out of the city of Houston. 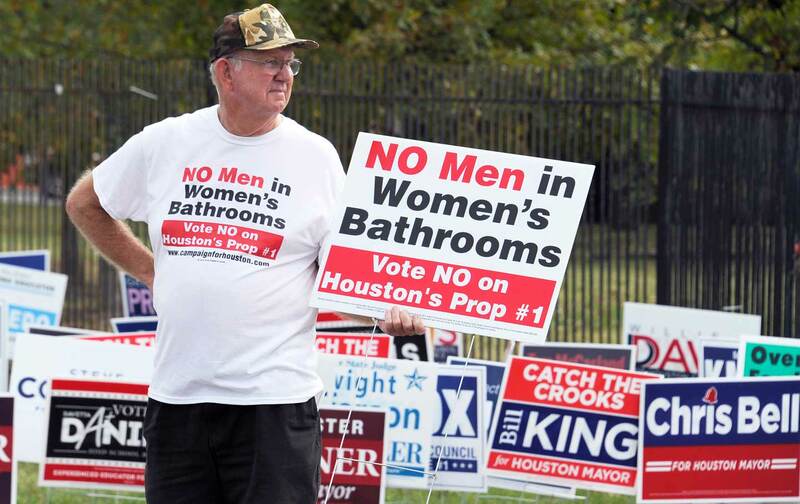 Now, without HERO, discrimination has not only been codified in Houston, it has been emboldened. This poses a threat first and foremost to the LGBTQ population of the city. It also creates a dangerous environment for employees of any business planning to travel to Houston—like the National Football League. Under Roger Goodell’s leadership, the NFL has established a pattern of responding to hot-button social issues in a manner that is, to be kind, reactive and skittish: Goodell waits, takes the temperature of public opinion, flip-flops, and looks like he has the spine of a Slinky. We’ve seen him publicly get weak in the knees when it comes to taking a stand on violence against women, the health of the players, or even whether to take money from the military to salute the troops. Usually this league does its business in shadows. When exposed, it backpedals faster than Richard Sherman covering Julio Jones. This decision by the NFL comes after the New York Giants became the first team to finally make a “You Can Play” video against LGBTQ discrimination. It comes after the league took demonstrable steps to portray themselves as having a zero tolerance policy on anti-LGBTQ bigotry. Yet clearly, when it comes to the Super Bowl—a k a Woodstock for their corporate partners—there can be no discussion of moving the game, even if it imperils a portion of the people coming to the city. Will Goodell listen to the league’s LGBTQ fans and supporters? Will he listen to his league’s own history? He will if people rally, petition, and argue that Houston, a city that elected an openly lesbian mayor, Annise Parker, was divided by a sick campaign of lies. He will if he’s pushed. If there is one thing we know about Goodell it’s that, if pushed, he could very well topple. Do it for our daughters, Roger. But also for our sons and everyone finding space between those two labels.